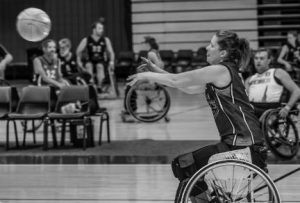 For many, one of first things that comes to mind when they think about the word ‘disability’, is a wheelchair. Even the areas in public transport that are accessible for people with disabilities are mapped out by the symbol of a person in a wheelchair. 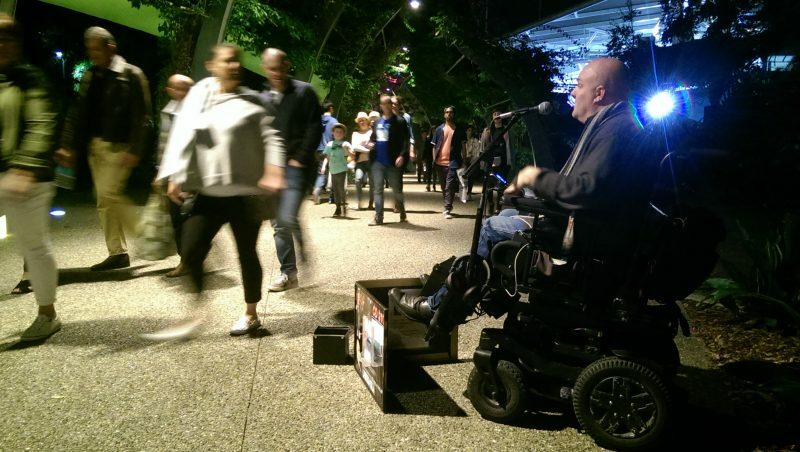 However, the definition of disability is far broader than just having difficulty to walk. Having difficulty learning, seeing, hearing and speaking could also fit the description. But what really defines ‘disability’? 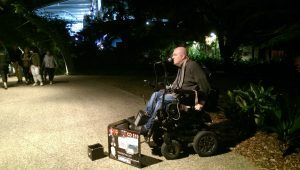 When you first hear Tim McCallum busking at South Bank, the first thing you notice is his confidence singing opera songs that are melodic and nostalgically beautiful, sung in a romantic language such as Italian. There are occasional pauses in lyrics followed or preceded by a “thank you very much” or “have a lovely evening” in English, as though they were meant to be in the song. As you get closer, you see people drop money in the black container laid out in front of his microphone, a sign for his album dividing the busker from his spoils. There he is, happily singing away and thanking people after they put more money into the almost full container. They do not expect to be thanked mid-song, so they are delighted when he sings his gratitude. Stopping to watch him sing, you hear his music ringing out in front of the Griffith Conservatorium where he’s chosen to perform. 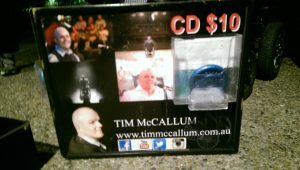 Anyone who heard him sing would believe Mr McCallum was a wonderful human being using his talents to make a living. They would say he was great at singing opera, if the amount he’d earned that winter night was any indicator of that. Coming away from the experience, people would think fondly of the encounter. The Oxford dictionary describes disability as ‘a physical or mental condition that limits a person’s movements, senses or activities.’ Synonyms offered for the word include ailment, illness and disease. However, Real Community Services worker Shane Alexander believes the definition of disability is not as black and white. 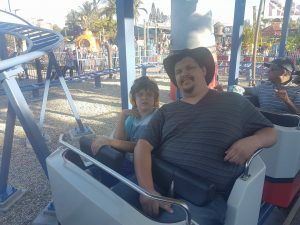 One of Shane’s clients, James, enjoying a day out. Photo: Shane Alexander. 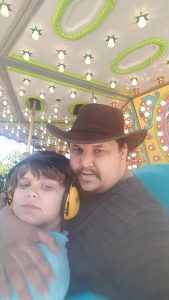 “As far as I’m concerned, a disability is anything that inhibits your interaction with the world in a way that a ‘normal’ person would,” Mr Alexander said. Being able to get out of the house is often difficult at times for most human beings, even for able-bodied people without a couple cups of coffee in the mornings. Jeremy Alfred, a person with Tourette’s’ syndrome, has his own definition for disability. “Like when people can’t talk and can’t walk and cerebral palsy and something like that,” Mr Alfred said. But what separates people with disabilities from able-bodied people can be the difference between being able to go out and simply wanting to go somewhere. Consultant with Starting with Julius, Angel Dixon said her definition of disability is community. 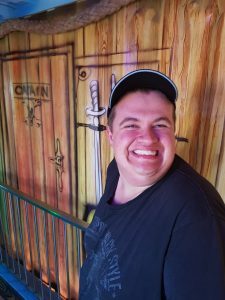 “I feel that the only reason the labels ‘disability’ or ‘disabled’ should be used is for people living with disability to use as community empowerment. Being the largest minority group in the world, it is powerful to identify with people with shared experiences and connect with a community,” Ms Dixon said. Shane Alexander helps people with disabilities have the support they need to get moving for the day. “I do mostly community access, which means that I take people out of the home environment to do something that they’ll enjoy,” Mr Alexander said. The definition in a sense is easily recognised by society, even if it’s not so clear cut. However, the need to have a transparent definition of disability stems from the need for legal recognition. The Oxford’s second definition of disability is ‘a disadvantage or handicap, especially one imposed or recognised by law’. Its synonyms include defect, impairment, disadvantage and deficiency. The reason why this meaning of disability is also important is the way in which it is used for the support of disabled people, especially through government funded organisations and initiatives. 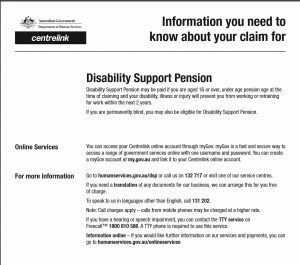 For example, Centrelink’s Disability Support Pension would give payments to people who – according to their website – has a “physical, intellectual or psychiatric impairment prevents them from working” so long as it meets a “rating of a least 20 points under the Impairment Tables”. For many people with disabilities, they have to prove they’re disability earns them enough points to be eligible for the payment. Some conditions such as blindness automatically makes a person eligible for the benefit. “Some people are lucky and they get all the support (they need), but it’s an uphill battle for most people,” Mr Alexander said. 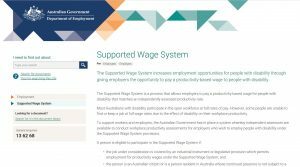 The Supported Wage System also uses the definition of impairment rather than assessing what a person with a disability can do in the workforce. 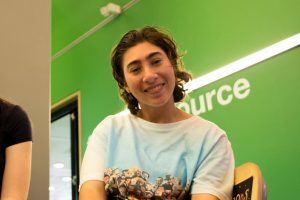 The system would pay towards the employers to hire people with disability at full wage, “due to the effect of disability on their workplace productivity,” according to the Australian Government’s Department of Employment’s website. It also relies on the eligibility of the previously mentioned Centrelink Disability Support Pension and that the person must have no outstanding worker’s compensation claims. 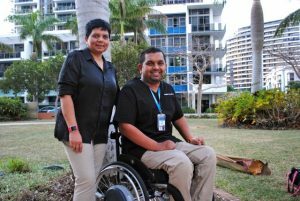 For those who rely on community help people with disabilities, they are not often recognised equally. “One of the big issues is inconsistent support,” Mr Alexander said. He gave an example of a friend who is blind wanting to move out of her parents’ home. She does not have the means to do so, but they have someone tidy her room once a week. Fortunately, the National Disability Insurance Scheme (NDIS) could help change the prejudice behind the definitions of disability.